For years, the UK has recognised engineering and infrastructure as drivers that can boost the economy, and we have seen various projects commissioned to that effect. As far as the economy of the UK, and any country for that matter, is concerned, infrastructure will always be a cornerstone. That is why the government have spared no expense in investing in the engineering sector and even making further economic plans through infrastructure. There are still loads of projects breaking ground in the past months. With a few delayed jobs kicking off again, while others remain in deliberation. The Construction Industry Training Board (CITB) sited through a forecast in February 2017 that construction is set to witness growth in the next five years, but that the delay of certain projects will put said growth at risk. This delay points to challenges faced at the engineering sites of some projects like the Hinkley Point power plant. But if these situations are to be salvaged - like they have been promised to, there will be tremendous positive effects throughout the UK. UK construction has seen off worse, and established brands like Sarasin-RSBD are still big players in the oil and gas industry. Using this as a steer, here are four of those projects that will transform the UK significantly. 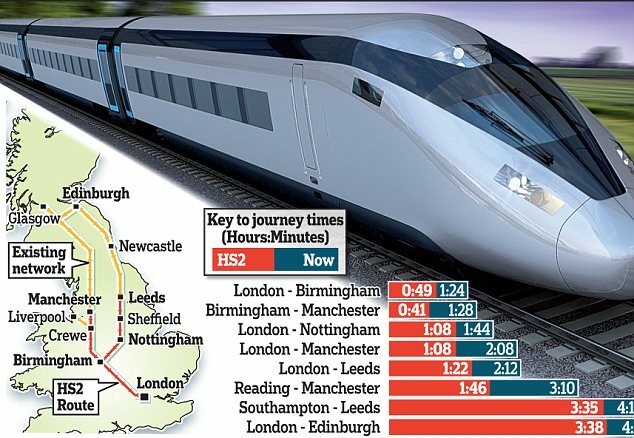 Construction of the high speed 2 (HS2) will see Birmingham, Leeds, The East Midlands, Manchester, and Sheffield connected through rail. The planned high speed railway will be the second to be seen in the UK after high speed (HS1) connecting London to Channel Tunnel. The £56bn project has been touted to bring loads of economic and transport dividends. It will be responsible for 14,000 new jobs and pumping up-to £1.3bn into the local economy annually until completion. The Hinkley Point C will be the first nuclear power station in the UK after two decades. Construction of the plant will boost the UK's energy sector and will be responsible for 7% of the UK's electricity. With most of the UK's source of energy ageing over the years, there is no better time for a new source of power. The project was stalled due to Brexit shivers, but was kicked off again in 2016 after EDF, the construction giant in charge of the project, decided to forge ahead. There have been challenges faced by the project during the course of its construction, and though reports suggest it might be completed in excess of budget and 15 months behind schedule, the EDF is still strongly looking forward to completing the project by 2025. The crossrail project kicked off in 2009 and has already boosted the economy by pumping new jobs into the employment sector. By the end of the project in 2018, London's rail network will see a 10% boost in capacity and competence. An improved transport network like this one, will increase the efficiency of commuting to and from the capital, thereby boosting economic progress. This campaign is an initiative of the UK space agency. It is aimed at tackling the "engineering skills gap" and to further broaden the pool of young people joining the engineering profession. The campaign is targeted at young people aged 7-16, their teachers and their parents. It is looking to increase and create understanding and awareness about engineering generally. The aim of this project is futuristic and clear to see: with more young people involved in engineering, invention and progress in the field will be worth looking forward to in the future. There's a lot of buzz about construction in the UK today. In fact, the new Chancellor's Budget includes most of the construction recommendations made by the Institute of Civil Engineering, ICE. What this means is that we are on the verge of witnessing great transformation through engineering that will take the UK to great heights.